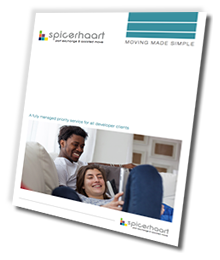 As well as providing mortgage support, Spicerhaart has a Land and New Homes division. This division has over 25 land managers and directors with 12 national, dedicated new home teams providing developers with potential land and brown elds sites. Through our Land and New Homes team we can offer assistance on pre-site evaluation as well as supporting your team in the eld via our 200 plus estate agency of ces. Spicerhaart’s Land and New Homes division offers advice, guidance and the latest industry information to developers, housing associations, house builders, registered social landlords, receivers and banks, although most clients are housing associations, house builders and developers searching for ideal, ‘off market’ prospective development sites which meet the minimum GDV and product mix standards. We offer strategic expertise on both a national and regional basis and our well-established network of high street estate agency brands provides the local knowledge and market intelligence essential for providing the most up- to-date information when buying or selling land. At Spicerhaart Land and New Homes we know it’s all about the land for our developer clients. Going forward with an agreed ve year investment plan we aim to establish a leading land operation nationally across our network. We have already seen some success with this newly created land business. In its rst six months in 2018 the team has delivered over 550 prime plots to the development industry that are now in solicitors hands, this is spread across a total of 28 sites. 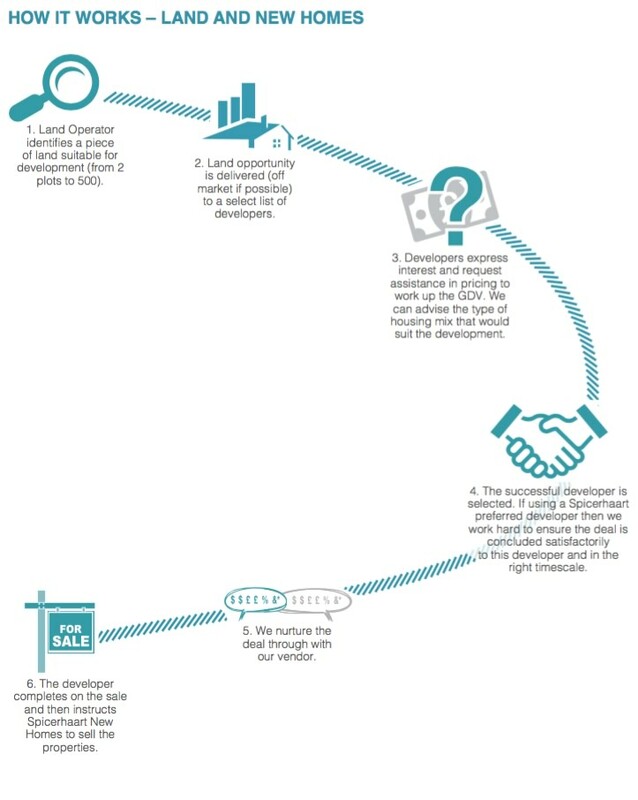 We look to double this in the second six months of 2018 and deliver 2,000 plots to our developer clients in 2019. Our experienced and dedicated team can provide useful, up-to-date advice; comprehensive, local market information and an unmatched marketing strategy. This makes us one of biggest independent providers of property services in the UK. At Spicerhaart Land and New Homes, we are able to locate the land required for your next project, whether it is a new build, a conversion project or a large refurbishment. The advantages of instructing Spicerhaart are numerous. We don’t require an instruction to offer a site ‘for sale’ before introducing a retained client, which means we can proactively seek any landlord owner and act on a client’s behalf. Due to this, we are able to negotiate the best deal possible. What is more we use unique social media technology called FLINK to generate more competition and sell your development faster. In the second quarter of 2018 our FLINK campaigns generated an average of 31.3 leads per property. No matter the size of your project, we will provide comprehensive advice, supported with relevant comparable information and market evidence to help you generate the most revenue out of each and every development. We work closely with a number of external companies and consultants, which means we can guide you through the entire planning system.